The Rebel Sweetheart. : Free Airfare Promo from Tiger Airways! As part of the launching of Tiger Airways Philippines, Filipino flyers will be given a rare chance to fly to their favorite destinations (local or international) for free. Yes, FREE! Flights booked on www.tigerairways.com from June 1 until June 30, 2013 and with travel dates from July 1 to September 30, 2013 can be availed for free. Among the destinations that Tiger Airways Philippines flies to are Singapore, Bangkok, Hong Kong, and local destinations such as Clark, Laoag, Bacolod, Kalibo, Cebu, Iloilo, Tacloban, and Puerto Princesa. It has also increased its flight frequency between Manila and Bacolod, and Cebu and Kalibo. A Singapore to Kalibo route will also be launched on July 18, making the carrier the only one to directly fly this route. Tiger Airways Philippines carries a distinguished regional brand that gives importance to safety and reliability, while offering the best value fare to travellers. The airline operates Airbus A320 and A319, with wider leg rooms to give added comfort to its passengers. 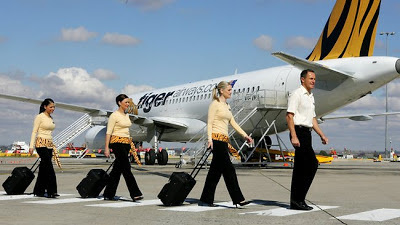 For more details, log on to www.tigerairways.com or like us on to Facebook at http://www.facebook.com/flyseair. Because sometimes, the best things in life, are still, FREE.